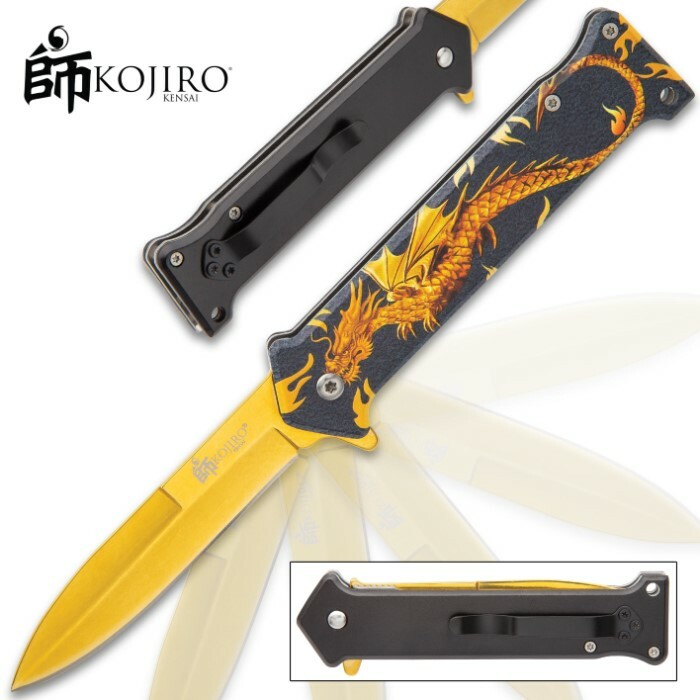 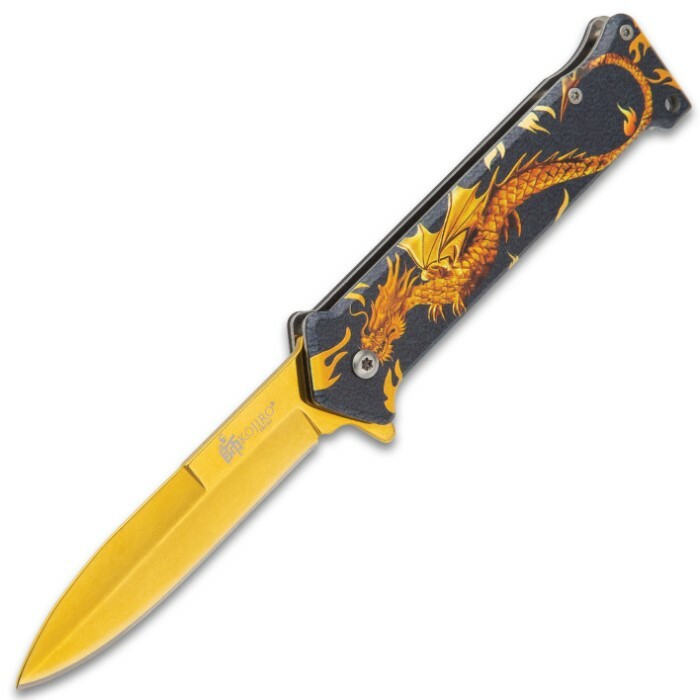 The Kijiro Dragon Stiletto Pocket Knife is definitely eye-catching with its blazing dragon artwork, set-off by a black background and its striking golden blade. 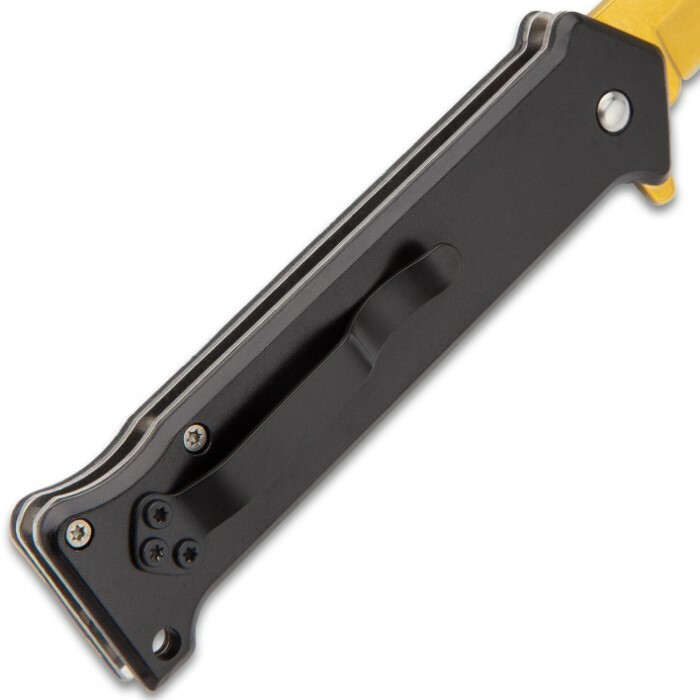 It has a 3 3/4” stainless steel stiletto-style blade, which can be deployed with the flipper, activating the assisted opening mechanism. 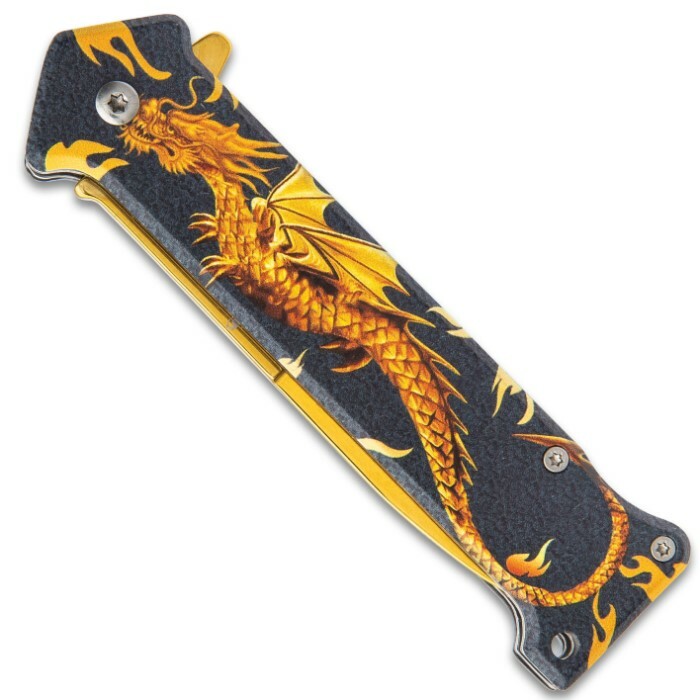 The handle has black metal handle scales and, on one side, is a 3-D printed, vividly orange fiery dragon design. 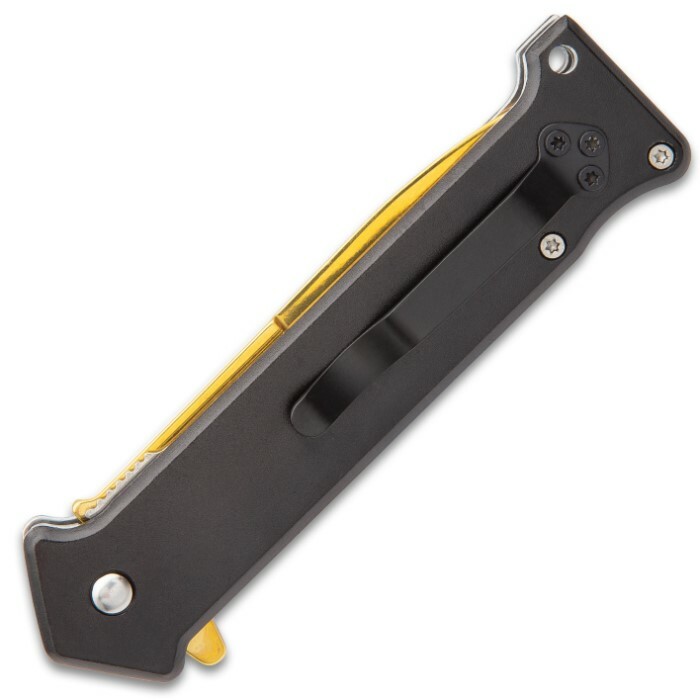 The assisted opening pocket knife is 4 1/2”, when closed, and has a sturdy metal pocket clip and a lanyard hole.